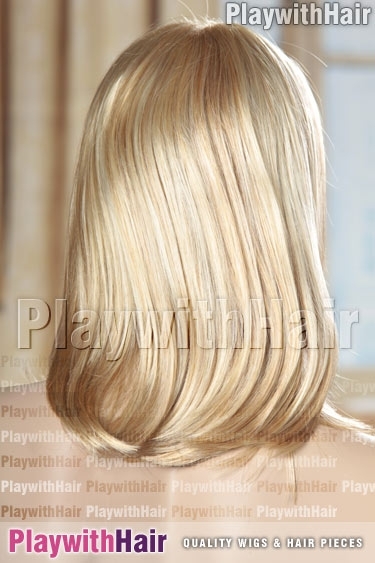 Shoulder length layers of superbly highlighted and textured hair frame the face, with wispy light bangs. Weighing just 4.8 ounces (136 grams), this lightweight style is so simple to style and wear! 2600h Creamy Gold Blonde The color of this piece is 2600H - A stunning new blonde addition, creamy, golden and totally delicious!